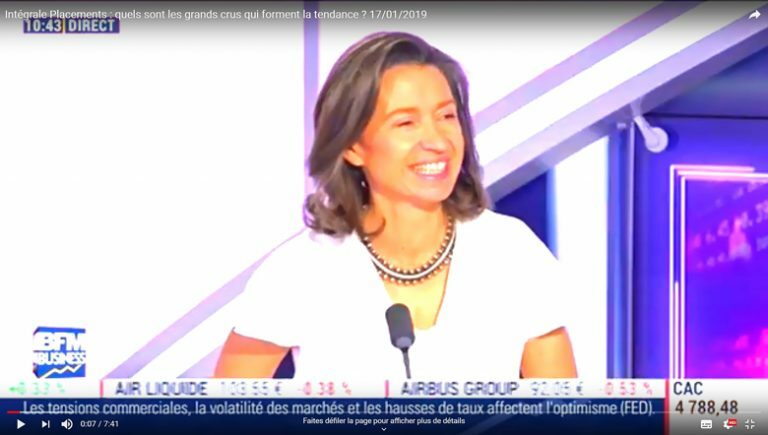 Once a month, Angélique appears on the investment program of BFM Business to give her analysis the fine wine market and to answer questions from journalists Guillaume Sommerer and Cédric Decoeur. Last week, she gave us advice on how to (re)organize our cellars with investment in mind. 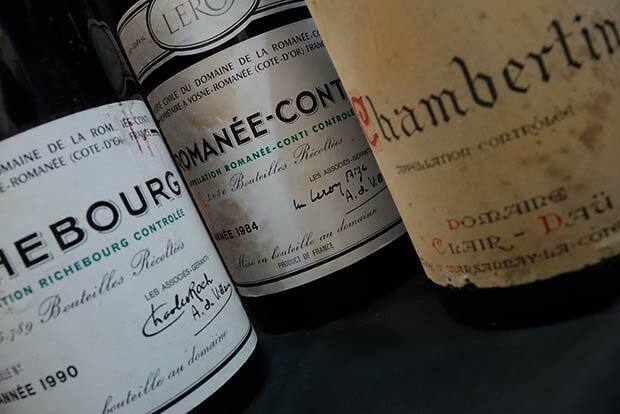 We take a look at the proportion – in volume and value – of wines sold from each region at auction in 2018. The start of the year is propitious to reorganizing one’s “assets”, of which wine is one! The auction market gives a good indication of which wines we should be investing in. How was the performance in 2018? The market for wines at auction is doing very well indeed! The end of the year was particularly successful, with a marked increase in sales, in terms of volume and value (more than 30% increase). This figure concerns just wines which were bought and sold on the iDealwine platform, not the market as a whole, but it is clear that the fine wine auction market is attracting more and more people and it’s a market that is dynamic throughout the year. What makes it more attractive now than it was a few years ago, for a wine enthusiast who is looking to invest in wine? One could say that wine auction market has come out of its ‘artisanal’ era. It has become more professional in terms of verifying the authenticity of bottles and now has the tools to ensure worldwide visibility to wines up for sale. It has also become more secure, inspires confidence and allows many more people access to this market than in the past. What are the salient features of the 2018 market? Particularly in terms of repartition by region, to give us a good indication of how to organise a cellar. Is Bordeaux still the number one region? We’ve actually seen the share of Bordeaux decrease every year at auction, and in 2018 it slipped below the historic 50% mark in both volume and value. Bordeaux is, however, the most represented region at auction, with 44% of the volume and 45% value exchanged on iDealwine in 2018. It’s still a strong investment then? Yes, the most expensive lot on iDealwine was a case of 12 bottles of Château Latour 1961, sold for €46,816, or €3,900 the bottle. It isn’t in Bordeaux, however, that the results are most impressive (we’ll go into further detail about that next month). You could say that Bordeaux is first and foremost a background value for your portfolio. Other traditional regions include Burgundy and the Rhone; how have their prices evolved at auction? 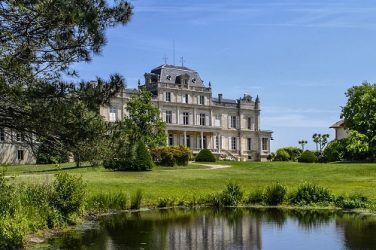 20 years ago, Bordeaux represented 80% of wine sold at auction. Nowadays, these three regions make up 80% of wines at auction. The situation for Burgundy is striking: the region makes up 23% of volumes sold and 31% of value. How can you explain this situation? The first reason is that these wines are extremely rare and therefore very difficult to find. Demand for Burgundy has thus soared, particularly demand from the Asian market. A good example is Romanée Conti, the most iconic domain of the Côte de Nuits. 225 bottles produced from the different parcels cultivated by this domain were sold in 2018, for a total of around 620,000 euros. The average price of the bottle being more than >€2,750. What is most interesting for the investor is that – due to the rarity of the bottles and the impossibility of buying directly from the domain – the prices haven’t stopped increasing. And the Rhone? Is it still eclipsed by Bordeaux and Burgundy? Not at all. 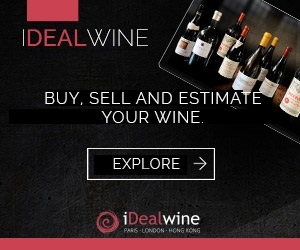 Last year, the Rhone represented 13% of volume and 11% of the value of wines sold on iDealwine. The Rhone is driven by mythical producers such as Jean-Louis Chave, who produces the famous Cathelin cuvée in Hermitage. This rare wine isn’t produced every year and is no longer sold at the domain. In our top 10 of most expensive bottles, Cathelin is the first to come after Romanée-Conti, in 6th place: a bottle of 2009 which sold for €12,652. The Rhone shouldn’t therefore be forgotten about when creating a cellar. With leading lights such as Chave, Guigal, Jaboulet in the north, Château Rayas in the south, new signatures are always emerging at much more affordable prices. There is a wealth of opportunities! That’s the most exciting part! These are regions with flagship producers who are pushing for the very best from their appellation, and even their region, and myriad signatures which are only just emerging. It’s worth being cautious, though, as the proportion of wines you include in your cellar from these regions is directly linked to your knowledge of wines and how inclined you are to risk. The more you know about wine, the more you can go search out the new stars of each region. The Loire valley, for instance, is an exciting region to explore. It is boosted by the presence of a couple of mythical names at auction, namely Clos Rougeard in Saumur Champigny and Didier Dagueneau. For the time being, the price gap between auction results for those wines and wines from other, equally-exciting domains is astronomical. It is THE region to keep an eye on this year. 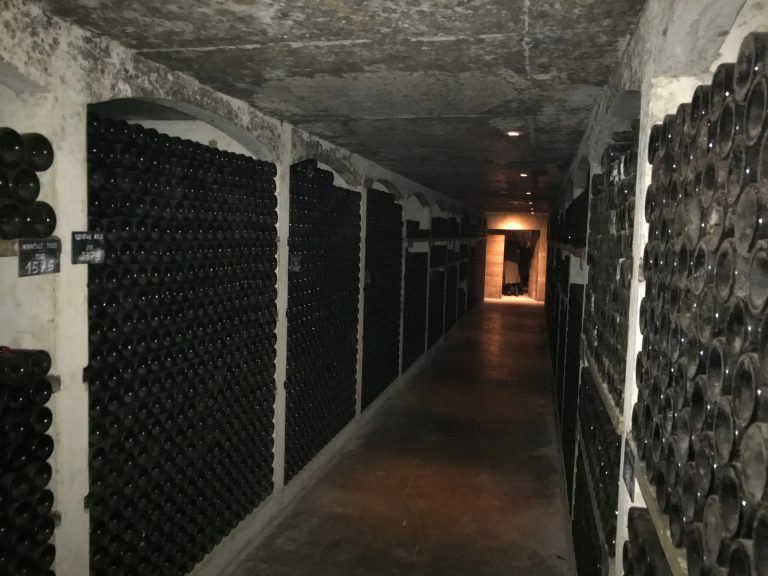 There are several domains which deserve to be part of a cellar for aging wines. We will soon be releasing an analysis of the Loire valley. Is it the only region to look out for? In 2018, we also saw Alsace wines emerge as a not insignificant proportion. While they only represent 2% of the volume sold, the figures are steadily increasing (it is twice as high as in 2017). Alsatian wines have long-since been a source of “specialist” wines, particularly for French customers. As is the case for other areas, it’s thanks to the work of talented winemakers that Alsace is re-emerging as a region to look out for. The Jura is also emerging from relative isolation, as it used to be the prerogative of only the most specialist clientele. The same goes for the Beaujolais and the South-West. The choice of producers is nowadays more of a determining factor than the appellation or even the region. Are natural wine producers more and more sought after? Natural wine could be the subject of a column in its own right! This phenomenon is transversal and exists in every region. We currently have something of a world first on auction at iDealwine: a private collection made up entirely of natural wines. The auctions are closing on 31st January, and there are so many interesting cuvées for sale. It’s quite a unique choice of wines from a somewhat visionary collector who has been buying wine for many years now. The natural wine movement is certainly here to stay for the moment. Château Giscours decide to appeal against the court’s verdict on the chaptalisation of their 2016 vintage. The saga explained.